The centrepiece of the party was a fantastic Gaia-shaped cake, decorated to look like Gaia (see Figures 1 and 2), made by MSSL chef Sue Ford. On a big screen in the background, the Gaia launch TV coverage was replayed. This brought back great memories of the launch, particularly for George and Howard, who were in French Guiana to watch the launch in person (see here for more details of their trip). MSSL Gaia scientist and party organizer, George Seabroke, gave a speech detailing MSSL’s involvement in Gaia (see the Gaia tab on the MSSL Gaia webpage for more details). Over the last seven years, the MSSL Gaia team has developed about half of the on-ground pipeline to process Radial Velocity Spectrometer (RVS) spectra. 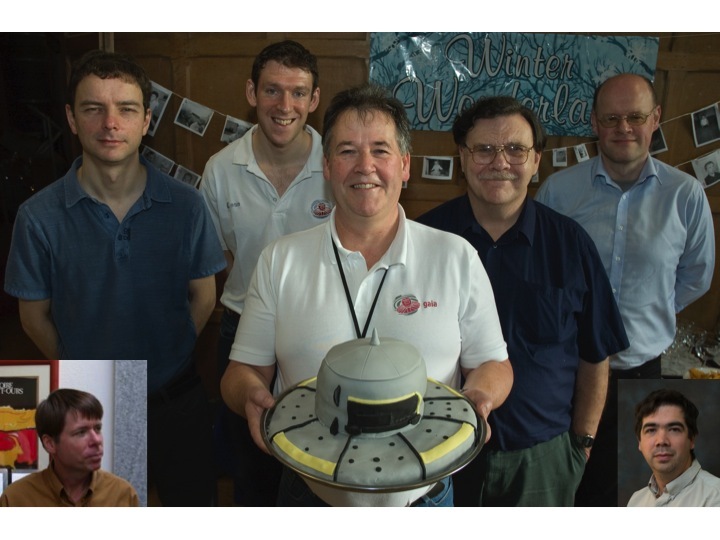 The current MSSL Gaia team consists of Mark Cropper (PI and head of MSSL Astro Group), Steve Baker (Project Manager and head of MSSL Software Engineering Group), George Seabroke (member of MSSL Astro Group) and members of the MSSL Software Engineering Group: Howard Huckle, Mike Smith, Kevin Benson and Chris Dolding. This team helped to commission RVS (see the ESA Gaia Blog for more details). Since then further optimisations have already achieved end of mission specification for radial velocity accuracy of bright stars. In its first year of observations, Gaia-RVS has collected over 3.5 billion spectra, making it already the largest spectroscopic survey in history! This success was toasted with wine and we wished Gaia continuing success for 2015 before blowing out Gaia’s candle and eating the cake (see Figure 2)! 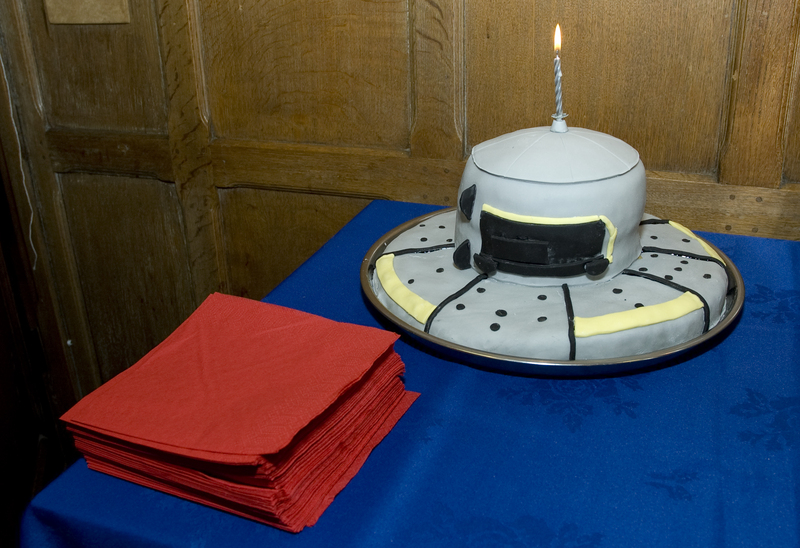 Figure 2: Happy 1st birthday in space Gaia but now we are going to eat you (napkins at the ready)! Text by George Seabroke. Photos courtesy of Martin de la Nougerede.